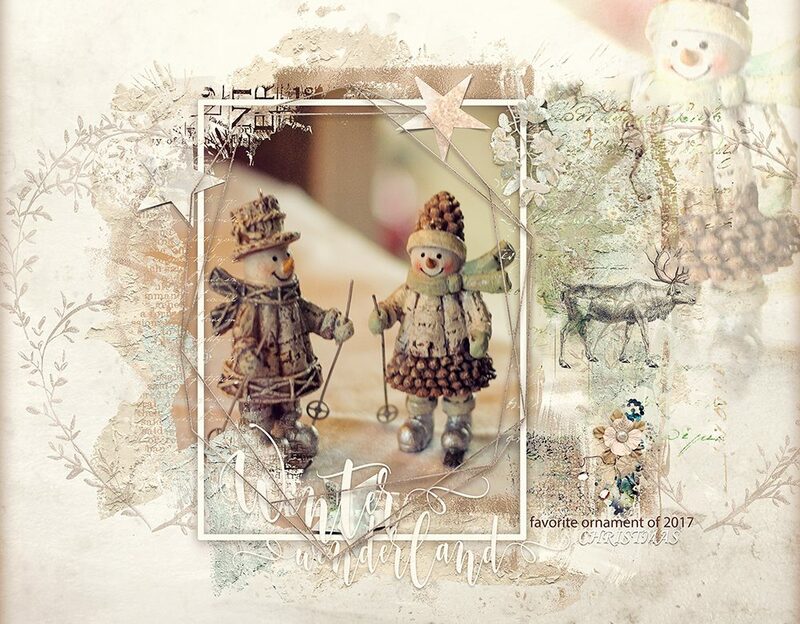 Marianne here to show you my layout using NBK Design’s artCrush No10 Collection. I love the beautiful colors in this Collection. It made me thinking about my favorite Christmas decoration from last Christmas. Those colors just perfectly match. I used some fantastic Brushmix items as a mask to clip my photo on! Also some styles were used on the Brushmix! Some lovely Artsy Bits came on top! 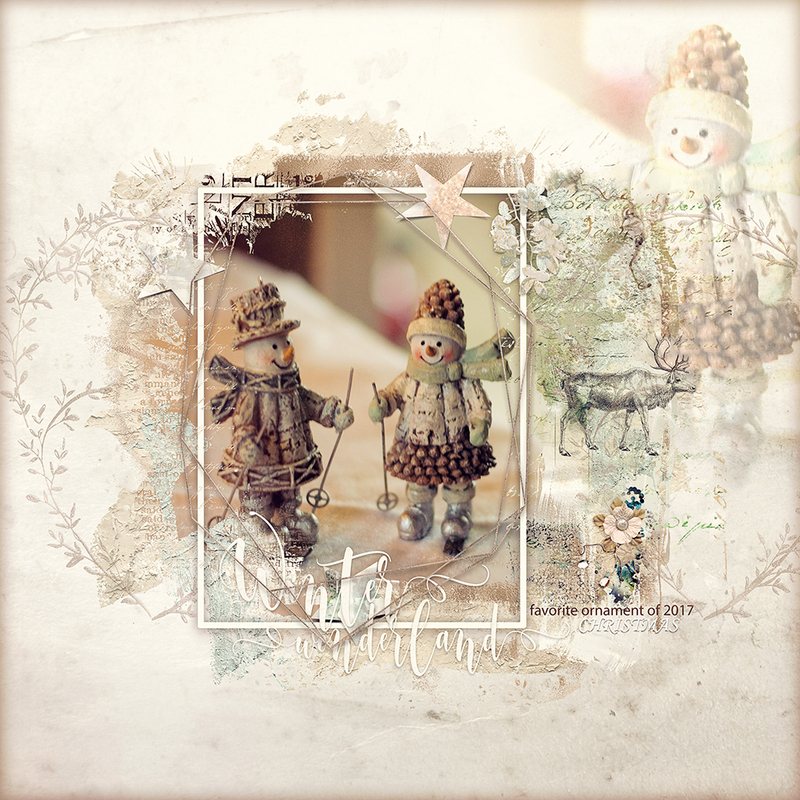 I used some items from the OOB frames to accent the framing of the photo.